Social infrastructure PPPs are typically those for projects in sectors such as healthcare, education and justice. However they also encompass government offices, libraries, police stations, defence and other projects that provide services to the public. These are usually projects that generate little or no revenue so have to be funded by government with no user charges. Unlike most countries, which typically begin their PPP programmes with revenue generating transport projects, most of the United Kingdom’s PPP projects are for social infrastructure. 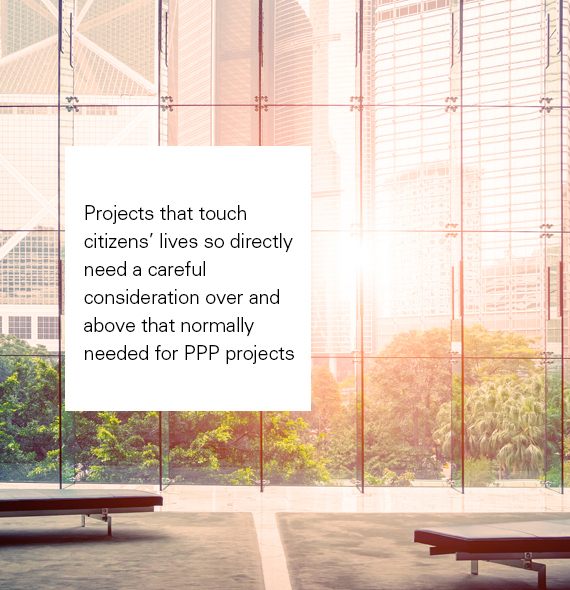 Because these projects can touch citizens’ lives so directly they can be controversial and need a carefully considered communications and stakeholder outreach programme over and above that normally needed for PPP projects. In these projects, quality of service delivery is a paramount and particular attention is needed on contractual terms relating to performance and monitoring. Altra Capital’s team have worked on social infrastructure projects around the world and can help ensure they deliver the real benefits possible in these types of project.